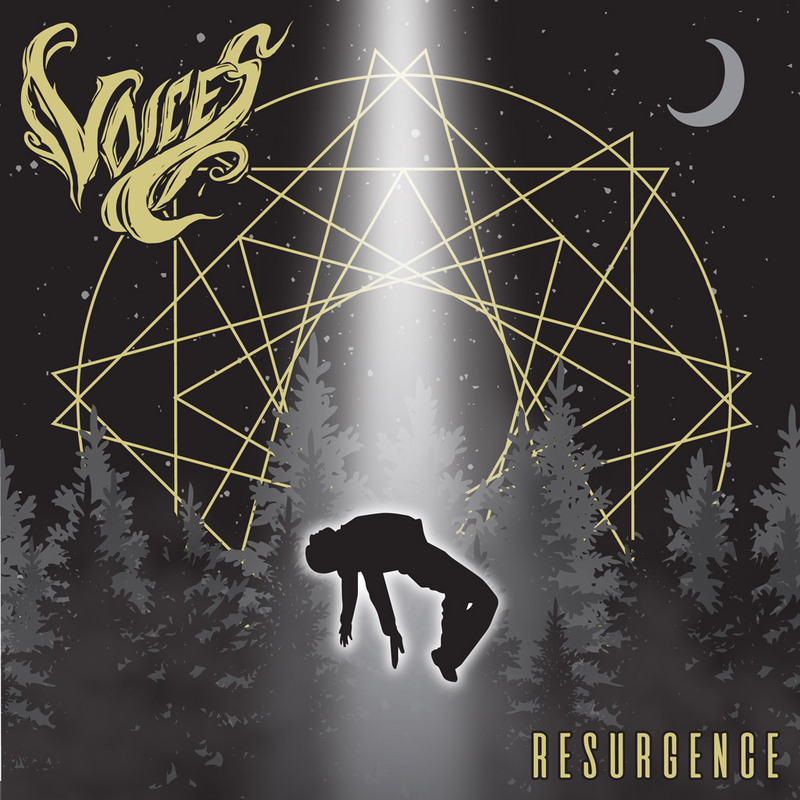 Os norte-americanos Voices editaram no final do ano passado o seu novo EP “Resurgence“. Este disco serviu para a banda se redefinir e elevar-se para um próximo nível, e está aqui descrito faixa a faixa pelas palavras do vocalista Blaine Gaiser. Demons was the first song we started writing for the album and it ended up shaping the direction of the album. It’s a fun one too, it incorporates a little bit of everything from the album as far as styles. Lyrically the song is about unrealistic expectations people put on others, and what happens when you start to let that effect you. We like to call this our angry one. The song just sounds mean and has a natural aggression about it. It’s also really fun to play live as well, the crowds throw down for it. Lyrically the song is about dealing with a terribly toxic relationship. Pushing past verbal abuse, violence, and belittlement. This song is also saying that you are more than the sum of your parts. That you are worth more than you get credit for. Nightmare is an interesting one, it starts off kinda solum then packs a punch. Lyrically the song is talking about how often times we as a society get so wrapped up within ourselves that we miss whats going on around us, and how fragile life can be. Haze shows a big stylistic change for the band while still holding true to the Voices sound. We really wanted to experiment with our guitar work on this one and step outside of the box. Lyrically this song is speaking about the lose of someone close to you, whether it be a family member or a love interest is up for the listener to decide. It touches on the pain you feel when these people leave your life for whatever reason. This one we really wanted to focus on melody. This is a very pop inspired song as well and touches on a lot of modern pop sensibilities. Lyrically it speaks of the desperation trying to mend a broken relationship. Casting blame on yourself for what went wrong, and desperately trying to regain the feelings lost. This song was a last minute addition to the record and our most diverse song to date. We wanted to do something that people weren’t expecting and I think we pulled it off. Lyrically this song is the most heavy. It deals with thoughts of suicide and the feeling of being alone. We tried to make a positive spin on it with the chorus by saying “Bring myself back to life” because at the end of the day, no matter how hard it is someone wants you here. That can get lost sometimes.